Trailco Irrigation Aust, a Queensland family owned business, has been active in Travelling Irrigator manufacture since 1969 through its manufacturing facility (Combined Engineering) and marketing its product under its own name as Trailco Traveller® through a dealer network since 1976. The dealer network has expanded from a mainly Queensland base in the beginning to now encompass all Australian states and New Zealand. 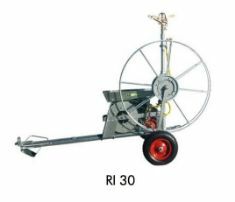 The original range of soft hose piston powered Trailco Travellers has been continually improved and upgraded over the years sometimes in small detail and in others changes so major that it necessitates a new model release identified by a suffix appended to its basic model designation. The piston powered range has been augmented by a complementary range of machines powered by our water turbine which better suits some applications.